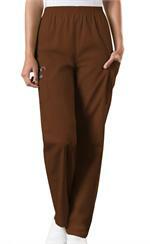 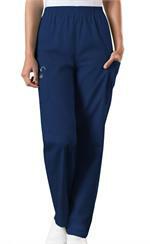 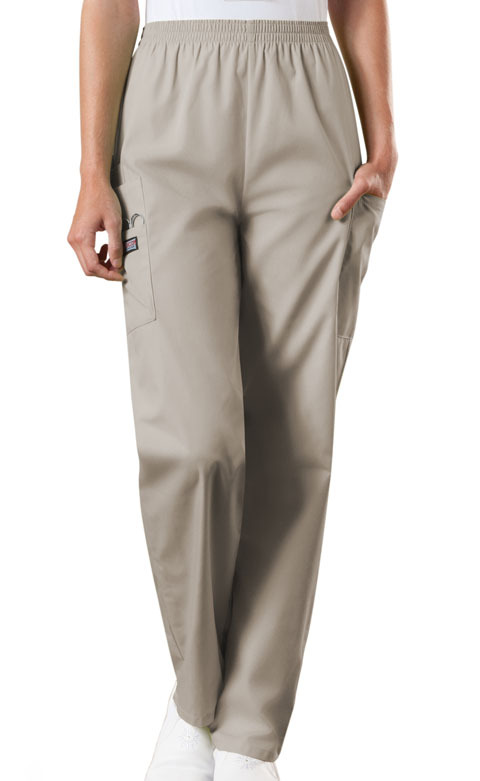 This elastic waist utility pant has two cargo pockets, a cell phone pocket and an outside scissors pocket. Inseam 30", made of poly/cotton w/soil release. Select color.